Our October 2010 Young Artist Award is presented to Adam Keefe, hailing from Olathe, Kansas, where he has been a private student of Phil Holmes, Director of Bands at Pioneer Trail Middle School. Adam is a recent graduate of Olathe East High School, having performed as principal trumpet in the concert, jazz and marching bands guided by Eric Griffin. Adam states emphatically that Mr. Griffin has greatly influenced his career decision to major in music education. Adam’s musical career began with piano lessons at an early age, which led to a fascination with a variety of instruments, exploring guitar, bass, harmonica, percussion, trombone, and even the didgeridoo before he began to focus on the trumpet in middle school. Throughout high school Adam participated in the Kansas Music Educator’s Association Solo and Ensemble Festivals and earned ten first division ratings. Adam was selected for the KMEA Northeast District Honor Band in 2007 and 2008, the State Honor Band in 2009 and the State Jazz Band in 2010. The capstone of his high school band career was a concert as principal trumpet performing Cloudburst with guest conductor/composer Eric Whitacre at Avery Fischer Hall in Lincoln Center, New York City. Adam performs regularly at his church, gives trumpet lessons, and volunteers for the pit orchestra at the Gardner Community Theater. Adam notes that he is rarely found without his mp3 player and listens to all kinds of music—pop, classical, and jazz—constantly gathering friends to jam and enjoy in the artistry of others while sharing his love of music. As of press time Adam has been accepted as a music education major at Kansas State University where he will study trumpet with Gary Mortenson. He plans to take a full load of classes and be an active participant in the KSU band, jazz, and brass chamber music programs. ITG congratulates Adam Keefe and wishes him a successful path to become a future music educator. 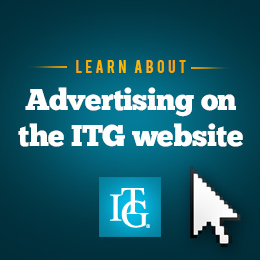 Adam will receive a one-year complimentary membership in ITG. Parents Brad and Eden Keefe as well as younger sister Alli have strongly supported Adam’s fascination with music and are very proud of his accomplishments and career path.